Our caricatures can be used in a variety of ways. Fleet Alliance are running a conference in Glasgow today and all delegates will receive a caricature name badge. Photos were forwarded to us and we in turn made the artwork available for download in plenty of time for the badges to be fabricated by the client. It takes a bit of planning, but a little extra touch like this can make all the difference to a memorable and fun day. 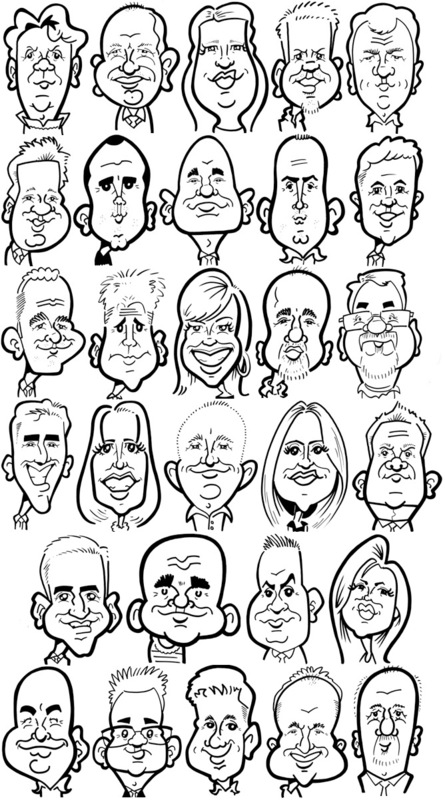 If you’re interested in using caricatures at your corporate event, big or small, then please get in touch.